An exhibition of new work by Rita Duffy, inspired by her three month residency in Dalsasen, Norway and her travels to the Arctic Circle in 2010. The title of the exhibition, Arctic Circus, references both the Arctic Circle and the famous Duffy's Circus which Rita Duffy visited as a child. 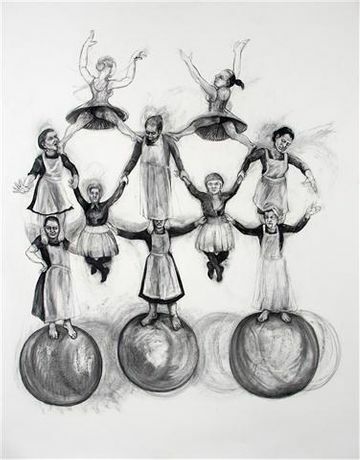 Works exhibited include charcoal drawings, oils and watercolours portraying powerful women who appear as contortionists, acrobats and tightrope walkers.